MainAll NewsRadioHow to safeguard our homes from terror? 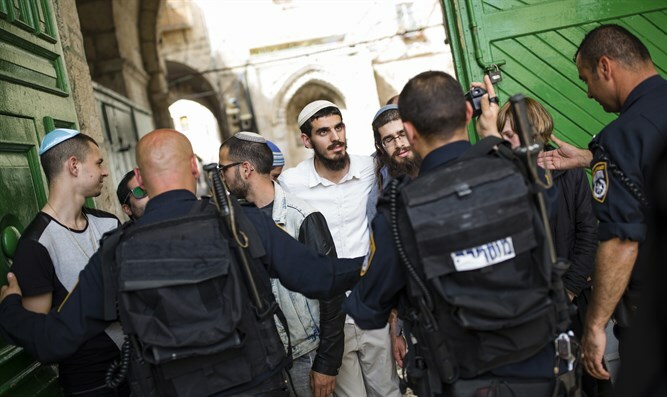 Are the Temple Mount police finally stepping up to the plate - only to be stymied by the prime minister? Despite being told that he wouldn't be entering into the promised land Moshe did not hesitate to station his people as close to the border as soon as possible. Should not our leaders today follow his lead regarding the Temple Mount and the need to prepare for the building of the Holy Temple? Yitzchak Reuven discusses the red heifer, Moshe's key to comprehending the red heifer, the Temple Mount and Prime Minister Netanyahu's failure to comprehend the centrality of the Temple Mount to peace and security throughout the land of Israel.